We all know what orchids are. 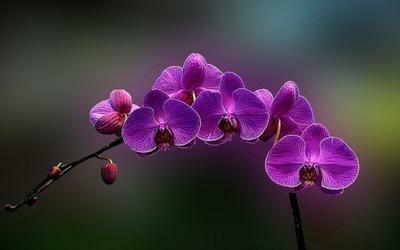 Orchids are a flower. But did you know this about orchids in Bolivia? 1. Bolivia has the most species of orchids in the world. 2000-3000 in total. 2. Every year in October there is an Orchid Festival in the middle of the Chiquitania region in the town of Concepción. 3. Almost 80% of orchids are epiphytes. Epiphytes are plants that grow on other plants, but without being a parasite. 4. Orchids make up more than 10% of Bolivia's total flora. 5. 1000 of the Bolivian orchids were at the III Annual Orchid Expo. 6. Extra Fact: Orchids are Bella's favorite Flower! Image Source. Hope you enjoyed these 5 Facts (plus 1) about orchids in Bolivia. Which leads me to today's question: If there are so many types of orchids in Bolivia, how many types of orchids are there IN THE WORLD!? If you know the answer, tell us in the comments below.